Today's Bellarmine VEX tournament was one of the best-run ones in years, and to top it off two of our VEX teams won the tournament. 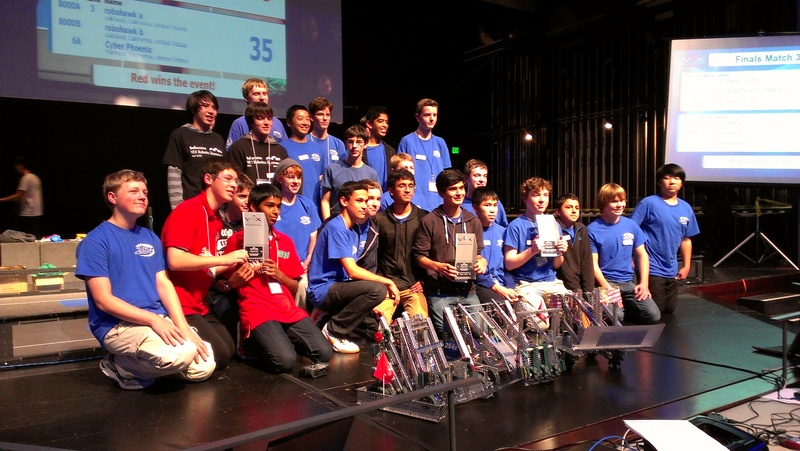 This was the only tournament this season in which all 7 254 teams were competing, and all of them did extremely well. 254C had an impressive undefeated (6-0-0) record in qualification matches and therefore seeded 1st. After them was 254D in the 6th seed, and rounding out the top 8 was 254F in the 8th seed. Other 254 teams were scattered throughout the rankings, but that didn't matter because during alliance selections, all 7 teams either got to pick or were picked. As 1st seed, 254C got the first pick and chose 5369, the Fire Breathing Rubber Duckies from Challenger (which Abhi Kumar's little brother is on) as their 1st partner. Their 2nd alliance partner was our very own 254A. Meanwhile, 254D was picked by the 5th seeded team, and 254F also got to pick a partner.  This pushed 254B into a picking position, and they picked another 254 team, 254E, as their 1st partner and 254G as their second partner. Unfortunately, F and D had to face off in quarterfinals. F came out on top, so all teams except D got into semifinals. In semifinals, the C/A alliance beat their opponents and moved forward, while the B/E/G alliance and F alliance were eliminated. C and A got to go to finals, squaring off against Oakland's 8000A and 8000B, who were allied with 6A. Things looked bleak when overheated VEXnet keys caused 5369 to lose connection in the first match, causing a loss. However, 254A pulled off an incredible comeback in the second match, descoring every point in our opponent's trough and leaving them only with floor tile goals, giving us the victory. 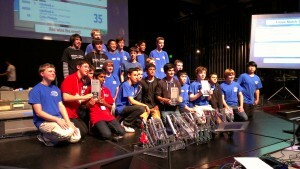 254C and 5369 then came together once more to beat the two 8000's in the third match, winning us the tournament. It was an incredibly nail-biting finals round, and all members of the team, not just those on C and A, were extremely excited that 254 had taken back the Bellarmine title after losing it last year. All in all, it was an incredible weekend and an incredible comeback, and all of us are proud of our VEX teams.